Is It Time to Replace Your Windows Laptop Battery? Do you remember the good ol’ days when your laptop used to be able to run for hours on end without needing to be plugged in? Just like anything, laptop batteries only last so long How to Optimize Windows 10 for Battery Life How to Optimize Windows 10 for Battery Life Battery life is a pretty important factor for mobile devices. While Windows 10 does offer new features to manage power settings, the defaults are not necessarily contributing to optimal battery life. Time to change that. Read More , and after a while, they might need to be replaced. But how do you know if it’s time to replace yours? As it turns out, Windows has a way, and it’s built right into the OS. Here’s how it’s done. First, you’ll need to launch a command prompt window How to Change the Command Prompt Colors in Windows How to Change the Command Prompt Colors in Windows The Command Prompt in Windows is black by default, but it doesn't have to be! Read More . The easiest way to do it is by typing “cmd” into the Windows search box. Once the command prompt is open, type powercfg /batteryreport and press Enter. This will generate a file with all the information you need to know about your battery. Windows will tell you where it’s saved in the command prompt window (it’ll be in the User folder). Now, navigate to the file and open it. The stat you really want to look for is Design Capacity versus Full Charge Capacity. In my case, my laptop is pretty new, so the difference is small, with only 4627 mWh separating the two. 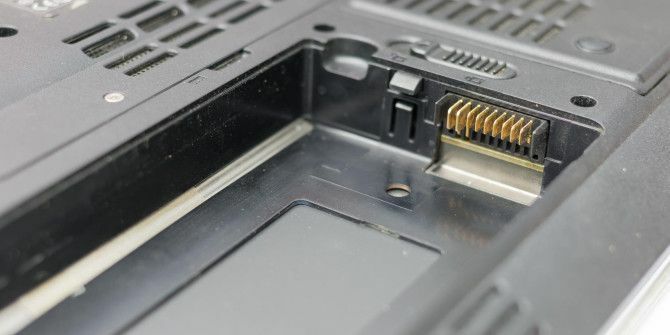 How is your laptop’s battery holding up? What’s the difference between your Design and Full Charge Capacity? Let’s compare numbers in the comments! Explore more about: Battery Life, Windows 10, Windows Tricks. I knew my battery was bad as my laptop does after about an hour and a half, but I didn't think it was this bad. The battery is 6 years old though. This does not appear to work on Windows 7. Thanks Ameya, but that seems to be something different. Dave, can you find the equivalent for Windows 7? Don, it worked for me in Windows 7 Enterprise. Search the report for "Battery:Battery Information". Where is the solution for those of us who do not DO windows? My 'Design Capacity' and 'Full Charge Capacity' both show the same figure. Now, what does this mean?